It communicates messages. The vocal tone you use can radically change the meaning (message) of the words coming out of your mouth! with a low pitch, hushed, dark-vowel tone of voice the message will be menacing... "absolutely do not do that again or there will be seriously bad consequences for you!" with a tight, high-pitched, edgy tone the message will be fearful... "please, I beg you, please don't do that again!" with a lilting, open resonance accompanied by pitch changes the tone will be playful... "go ahead, do it again and I'll tickle you!" with vowels formed tightly in back of the mouth and the word 'that' going up in pitch, the message will be self-sarcastic... "duh, that was a dumb choice I will never repeat!" with a numb, monotone, colorless tone the message will be... "you're not going to like what I'm about to say." with a loud, pushed, tight jaw yelled sound the message will be... "stop ignoring me and listen to what I'm about to say right now!" with open vowels, playful lilting tone, 'tell' going up in pitch the message will be... "you are in for a good surprise and I can't wait for you to know!" with a whispered, insistent tight tone the message will be... "this secret is going to shock you." Vocal tone can communicate (anger, direction, gratitude, friendliness, questioning, warning, etc) even when the words are in a foreign language. So it's important to know what tone to use. 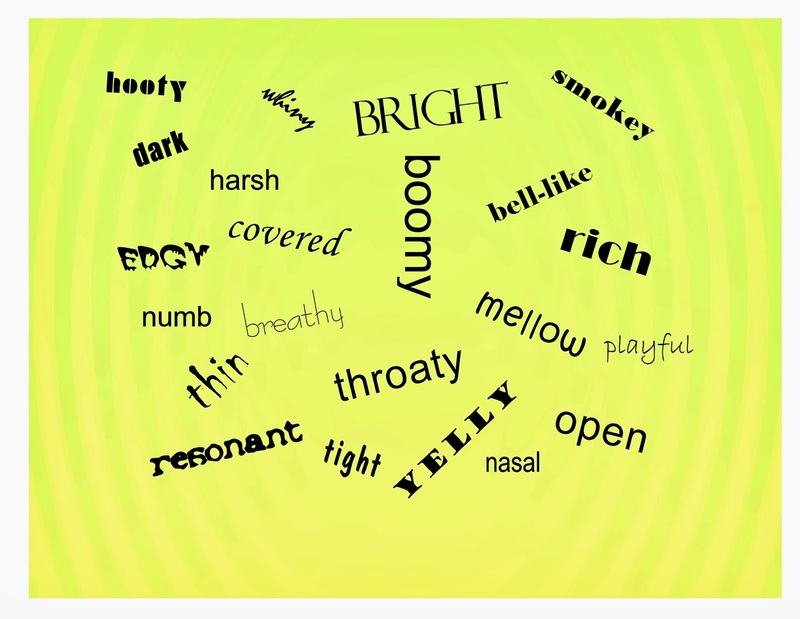 We learn habitual vocal tone choices from our parents, family, peers and culture. The tone we use strains or fatigues our overused speaking or singing voices. We want a tone of voice that commands more authentic attention to the message, and gets a stronger emotional response. We don't like the tone we hear in our recorded voice. We need to blend with others in a group. 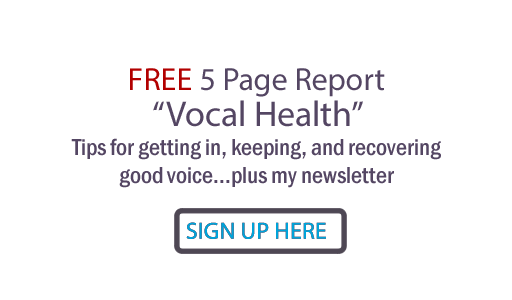 We need to match a particular lead voice to which we are singing background or harmony vocals. We want to transform our singing and/or speaking voice into a particular character for acting in plays, musicals or TV/movie scenes, for voice-over roles, for reading book passages out loud, for speaking to specific kinds of groups. We want to sing a cover song and sound just like the original, such as Karaoke singing or simply experimenting with different vocal styles.